Cureton Park is a newer Smithbilt subdivision in Karns, TN. Karns, TN is located in NW Knox County. The Karns community has so much to offer, including parks, and shopping. The Karns schools are part of Knox County Schools, and including Karns High School, enroll over 3,700 students from Karns, Ball Camp, Hardin Valley, and Solway. Most people commute to work outside of the community. 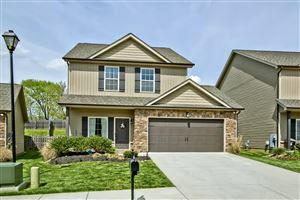 Take a look at housing available in Karns, Tn.